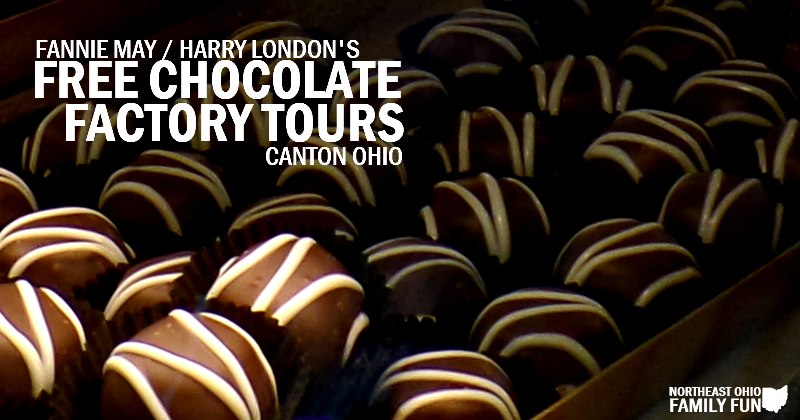 Did you know that Harry London's Chocolate Factory in Canton offers FREE Tours? The tours are offered Monday through Thursday from 10am – 4pm and are approximately 45 minutes long. 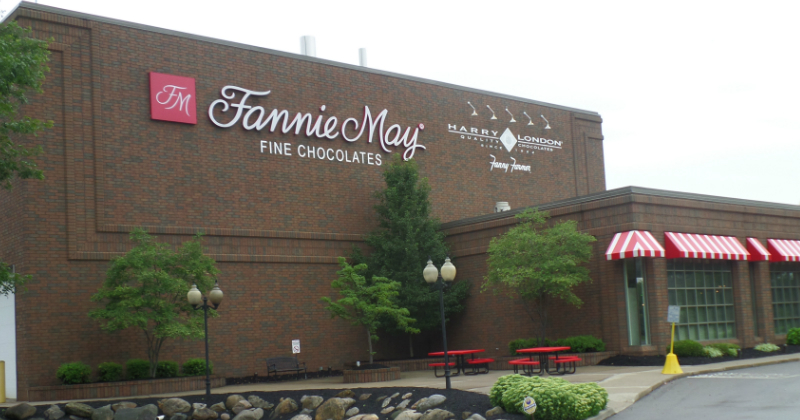 During the tour, visitors learn about the history of Harry London's, get to see the factory and watch the chocolate being made and even get to sample some delicious chocolate and gelato. The tour starts with a short video and a walkthrough timeline about the history of Harry London's. Then we got to see the factory. Inside the factory we saw huge vats of chocolate, little chocolate candies moving down the production line to be wrapped and boxed. The kids enjoyed watching everything taking place and were amazed at the process. They even got to wave at the workers through the glass windows. The highlight of the tour were the samples at the end. 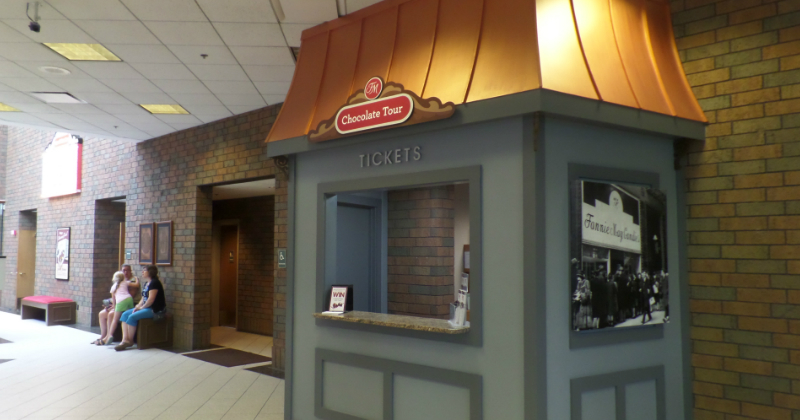 We enjoyed dark chocolate covered cherries, milk chocolate covered buttercream and white chocolate covered caramel. Yum! 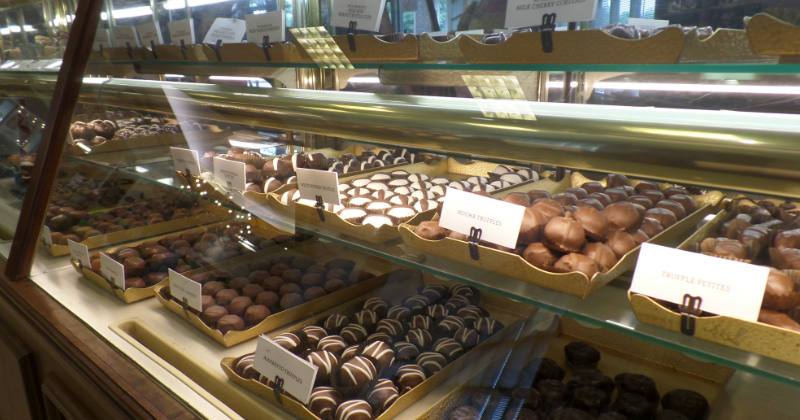 After the samples we headed to the store to sample the gelato and peruse the wide variety of chocolate the have for sale. 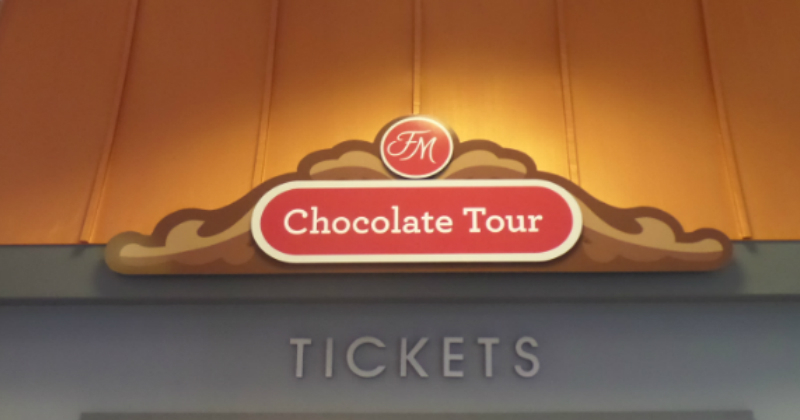 Overall, it was a great experience and we enjoyed watching them make the chocolate almost as much as we enjoyed eating it! Call ahead for tour dates & times and to make your tour reservations.